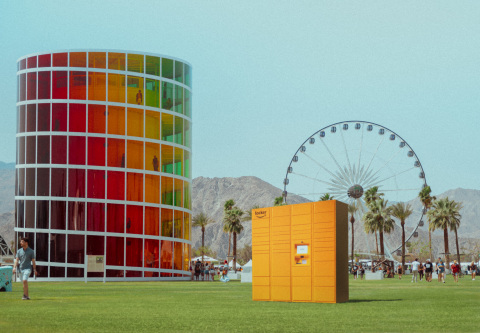 (NASDAQ: AMZN) – Today, Amazon announced that, for the first time ever, Amazon Lockers will be available as a convenient and secure delivery option for the Coachella Valley Music and Arts Festival. Customers will have the ability to ship everything they need from sun hats and phone chargers to lip balm and portable fans directly to an Amazon Locker at no additional cost during both festival weekends – April 12-14 and April 19-21. 04/22 AMAZON COM : leader. Cultural ambassador. Bridge builder.